Companies requiring an extra push during the slow season can benefit greatly from made-up holidays, which if given the appropriate hype, can greatly increase consumer interest. At Hatchbuck, we talked like a pirate for a day in September. Another excellent international example involves the made-up Japanese holiday of Kurisumasu ni wa Kentakkii, in which residents skip out on Christmas altogether and instead eat at Kentucky Fried Chicken. When this influential marketing effort first launched in 1974, it seemed crazy, but it was just out-there enough to attract attention — and now it’s one of Japan’s most notable holiday traditions. It’s no secret that the internet loves cats, but some clever businesses have harnessed this feline adoration and used it to drive up business. The best example of this is Uber, which celebrated National Cat Day 2013 by delivering kittens and cupcakes to people living in San Francisco, New York City, and Seattle. Although the recipients were only allowed to keep the cupcakes, they had the opportunity to spend 15 minutes cuddling with kittens. 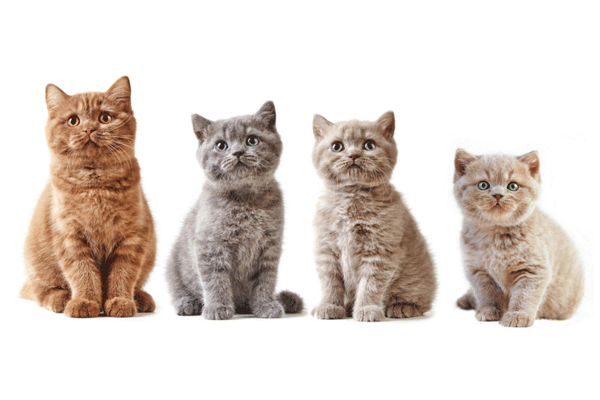 Cat delivery is not an option for most companies, but any marketing efforts involving cats can foster excitement among new and existing customers. A simple way for small businesses low on funding to accomplish this is to post a picture of a cat with a branded product on Instagram and ask followers for caption ideas. Although no longer as big of a craze as they were in the early days of YouTube, flash mobs still attract attention while putting smiles on the faces of both participants and observers. Often organized for marriage proposals or just for fun, flash mobs can also be used to garner greater brand awareness. T-Mobile has certainly discovered this, as its flash mob “Life’s for Sharing” advertisement won Ad of the Year at the 2010 British Television Advertising Awards. Consumers love being pranked, but only if pranks come across as fun, as opposed to malicious. Although there is a lot of gray area between acceptable and unacceptable marketing pranks, those done correctly can quickly go viral, thereby creating a new and exciting social media presence for previously unknown businesses. Marketing gurus proved the efficacy of pranks while drumming up excitement for the 2013 Carrie reboot. A group of unsuspecting coffee shop visitors were freaked out by remote-controlled tables and a stunt man seemingly thrown up against a wall by a young woman with telekinesis power gone wild. If your current marketing approach is beginning to grow stale, now is the time to mix it up with a little guerrilla marketing. Take inspiration from the aforementioned marketing efforts and don’t be afraid to get silly!